A child prodigy, Gábor Bolla was 12 when he won first prize in the National Music Schools' Competition and only 14 when he appeared at the Getxo Jazz Festival in Bilbao. By the time he formed his first quartet in 2003 Gábor, then aged just 15, was already considered a prodigious saxophone talent. Since then he has reached the semi-finals of the World Saxophone Competition twice and has become an international success with performances at the Yatra Jazz Festival in India, the Bucharest Jazz Festival, the Peter & Paul Festival in St Petersburg and the London Jazz Festival as well as winning a variety of awards, including the Hans Koller Prize for the Talent of the Year in Vienna and both the Grand Prix and the Prix du Public at Avignon Jazz Festival in France. Now a seasoned international recording and performing artist he includes work with the likes of David Murray, Benny Golson, Johnny Griffin, Roy Hargrove and Jeff "Tain" Watts on a hugely impressive CV. His style is deeply influenced by the giants of be-bop and hard-bop, combined with influences from Hungarian gipsy music and classical music, creating a unique sound and approach. Also featured tonight will be the ex pat Hungarian pianist Matyas Gayer, now resident in London. 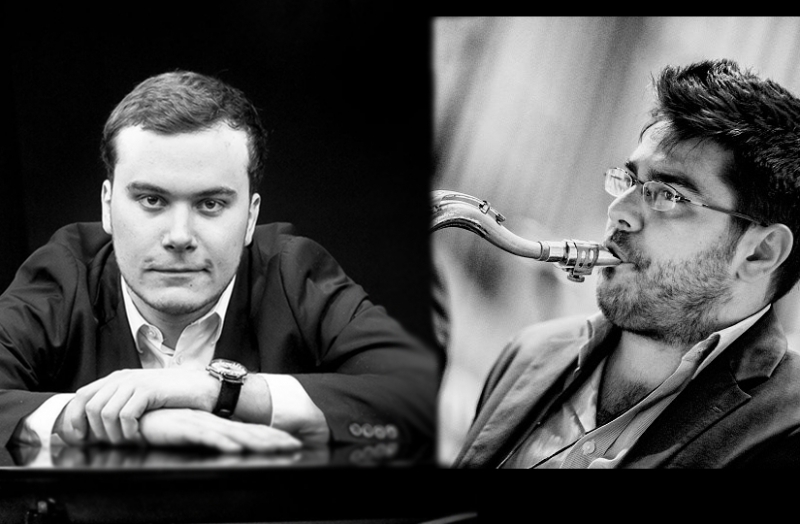 A multi-award winning young pianist, Matyas won a scholarship to the prestigious US Berklee College of Music in Boston in 2009, first prize at the International Zilina Jazz Contest, was finalist at the prestigious Montreux Jazz Solo Piano Competition two years running and in 2015 won the Gramofon Award, one of Hungary's most prestigious jazz prizes. And completing the rhythm section is a not unsurprisingly top flight rhythm section of Adam King-bass and Steve Brown-drums. The music is very much in the hard-bop mould of the 50’s and 60’s, so expect accessible, enjoyable straight-ahead jazz with a repertoire that includes standards as well as some of Gábor’s own great originals.